What is folkcraft EISA of Okinawa? Also, it is folk entertainment to pray for my wife security, health, and to dance so that each Okinawa local blue annual convention (EISA group which gathered of young men and women) goes round each house in Okinawa over Bon according to the old calendar (old calendar July 15), and ancestors can return to the sky safely. 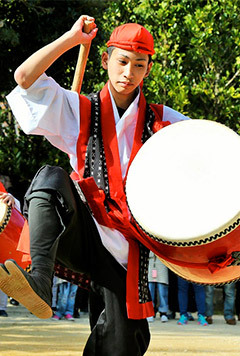 We match with sanshin player called chorus singer (jikata) in drum, dancers and put up musical accompaniment (rice with hashed beef) and dance. 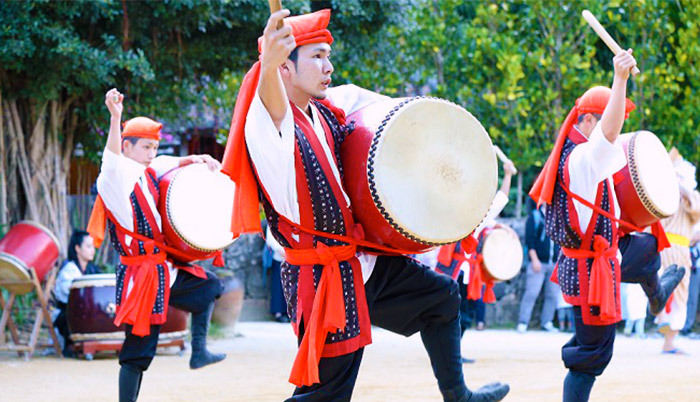 We dance using small drum called dancer, dance large drum and Paarankuu of EISA. Kyoto Taro (jun dollar) Buffoon who plastered with face white. Originally it was person who comes from Japanese soil, and teaches prayer to Buddha, but there are many positions heaping up EISA now. 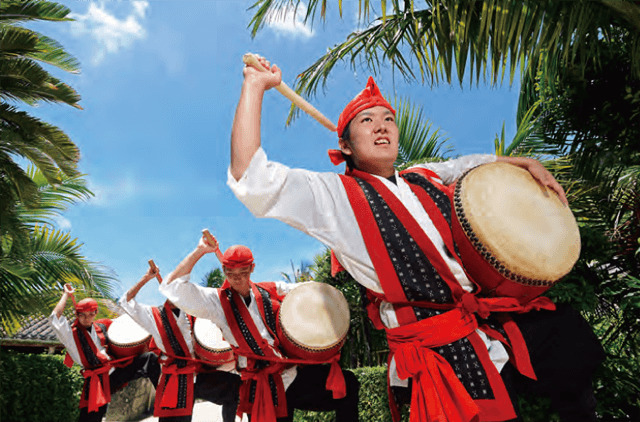 The Finger whistle played along with the Okinawan traditional Eisa dance and sanshin music brings excitement to the performance. ※Please note that you may change place of attraction to weather.